Important takeaways from Fortune’s Brainstorm Health conference. The days of wearing burnout like a badge of honor are coming to a close, and as panel moderated by Thrive Global Founder and CEO Arianna Huffington yesterday at Fortune’s Brainstorm Health conference shows, some of America’s top bosses are leading the charge. 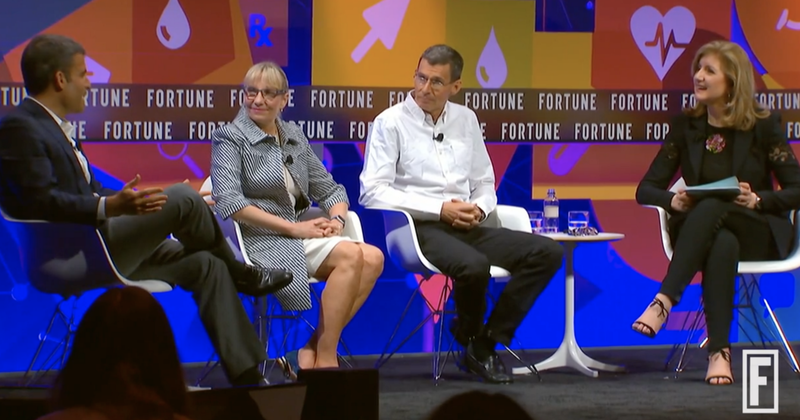 Arianna was joined by Barry Sommers, CEO of Wealth Management at J.P. Morgan Chase, Chip Bergh, CEO and President of Levi Strauss, and Deborah DiSanzo, general manager of IBM Watson Health. The foursome discussed how they model healthy workplace behavior within their companies, embracing methods like meditation, exercise and email boundaries to improve employees’ well-being (and reduce healthcare costs in the process). People “are obsessed with how many hours people work” on Wall Street, said Sommers, adding that employees are “getting out of there as fast as they can because they’re totally burnt out.” Sommers adopted meditation a decade ago and been meditating twice a day for 20 minutes ever since. He also aims for eight hours of sleep a night, something that “goes completely against mainstream assumption that J.P. Morgan is the boiler room of burnout,” Huffington pointed out. Bergh also recognizes the connection between overall health and workplace performance. He said “the whole human drives performance” and as a triathlon and marathon runner, he encourages his employees to introduce exercise into their normal routines. (Levi Strauss subsidizes gym memberships for employees working out of the company’s headquarters.) He also sets an example by making it clear when he leaves the office during lunch to work out. Practicing what you preach at the top was a common theme during the discussion: DiSanzo said “I try to make a habit of not emailing on the weekend,” in hopes that her team will model the same behavior. If companies are truly committed to making their employees happier and healthier, it’s important that the movement to do so comes from the top down. While there’s still work to be done to completely erase burnout culture, this panel is a sign that we’re making serious progress.